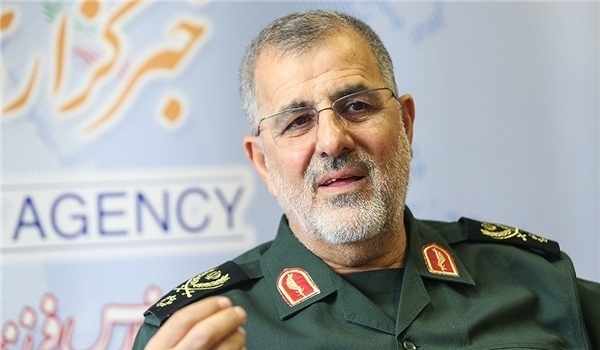 Commander of the Islamic Revolution Guards Corps (IRGC) Ground Force Brigadier General Mohammad Pakpour announced his forces’ preparedness to launch joint operations against the terrorists who have abducted 11 Iranian border guards in Southeastern Iran. “We have had different contacts with the Pakistani army and urged them to guarantee extradition of the outlaws and healthiness of the abductees and they should show more responsibility,” General Pakpour said on Tuesday. The IRGC Ground Force in a statement on Tuesday blasted the foreign enemies for the abduction of 11 Iranian Basijis (volunteer forces) and border guards by a terrorist group in Mirjaveh border in Southeastern Sistan-Balouchestan province on Monday night.